Denise Clark, a Northern Alumnae, has been in the theatre business since the early 80’s, both as a director and as an actor at a variety of venues. Favorites include: Mother Superior in Nunsense, writing and directing Scrooge at NMu, directing Life on the Fly for Lake Superior Theatre, and all the singing she has done with many talented people over the years. 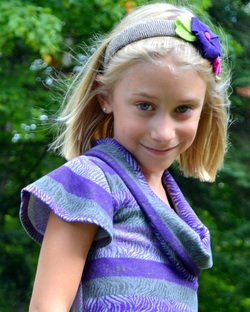 Many thanks to her family for their support of these crazy little endeavors. Denise works as a behavior analyst at Pathways Community Mental Health. 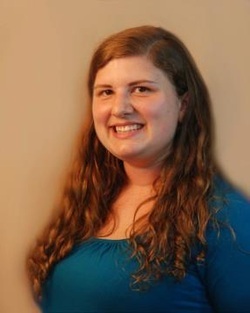 Moire Embley- Director of Honk Jr.
Moire Graduated from Northern Michigan University with a minor in Theatre in 2010. She began her training in theatre when she attended an artistic camp in Georgia during the summer of 2000. Shortly after returning to Marquette she started her work with the Marquette Arts and Culture Youth Theatre, assistant directing their first production Annie Jr. Moire also has 9 years of classic vocal training, traveling to New York to perform at Carnegie Hall with the Marquette Senior High School’s Redman Choral in 2004. Most of her theatrical knowledge has been acquired through experience. She has been involved in many local theatrical productions over the last 22 years such as; Forest Robert Theatre’s productions The Scarlett Pimpernel in 2002, Oklahoma in 2003 and Closer than Ever in 2006. Lake Superior Theatre’s Beacon on the Rock in 2001 and 2008, Marquette Senior High School’s The Music Man in 2000 and Guys and Dolls in 2004. Moire assistant directed the Lake Superior Youth Theatre’s production of Beauty and the Beast with Monica Nordeen in 2009 and continued directing for the Lake Superior Theatre in the summer of 2010 for the productions Little Women and A Home for Me. 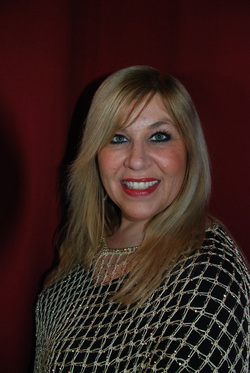 Currently Moire continues to work as an acting and vocal coach. A professor of Theatre Arts at NMU, Russell teaches a variety of courses, including Playwriting, Stage Combat and Acting Shakespeare. Russell has directed over fifty productions, including Beauty and the Beast, Rent, Romeo and Juliet, Peter Pan and most recently, Legally Blonde. 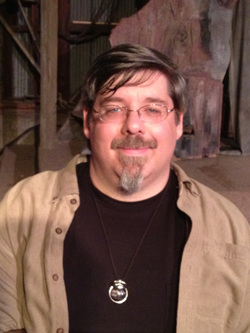 Russell, who enjoys all aspects of the theater, has acted and sung in numerous productions, created dance and fight choreography, designed costumes for over forty productions, and written plays and musicals which have been honored by the Jane Chambers Playwriting Award Competition, the American College Theater Festival, the National Endowment for the Arts and the State of Michigan. 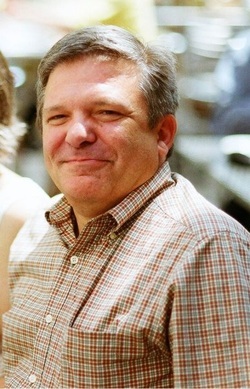 From 1999 to 2002 dr. Russell served as executive director for the Lake Superior Theatre, during which time the theatre received several awards including the NEA director's Challenge Award. In 2011 dr. Russell was honored by N.M.U. with the distinguished Faculty Award. Before coming to NMu, Russell worked professionally as an actor and director in California, Texas, Florida and Ohio. 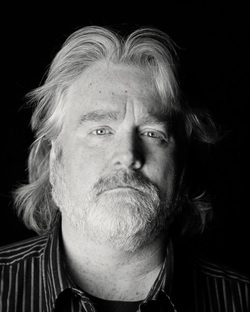 Russell’s dramatic works range from the mystery and pathos of Holdin’ Our Own, a drama about the final hours of the lake boat, Edmund Fitzgerald, to the romantic musical comedy, Points North. But the common thread is Lake Superior. Water, Woman, her most recent playscript, is set for performance at the Invisible Theatre in Boone, NC for 2014. As her body of writing suggests, her commitment to the region’s natural resources and to women finding their voice in environmental protection is unwavering. Jeff Spencer graduated from Indiana university, Bloomington, in 1989 with a degree in Theatre/drama. while there, he appeared on the Mainstage in Macbeth, Little Shop of Horrors, Cloud Nine, The Misanthrope, and The Oresteia. He also did work in the black box setting, including roles in Twelfth Night, Julius Caesar, and originating the role of Frank in The yoofo Club. Since moving to Marquette, and making his local debut in the PAAC’s Godspell, Jeff has become a staple of the Lake Superior Theatre stage, where he has appeared as Rutledge in 1776, Pseudolus in A Funny Thing Happened on the Way to the Forum, Moonface in Anything Goes, Bill in Keepers of the Light, and Bottom in A Midsummer Night’s Dream. He played the role of Howie in Vertigo’s debut production, Rabbit Hole, the title role in Macbeth, Jamie in The Last Five Years, and directed Fat Pig. 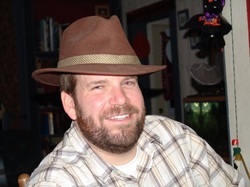 Jeff serves on the First Nighter’s Club Advisory Board, the board for Lake Superior Theatre, and ended a six-year stint as the drama Club Advisor and director at Marquette Senior High School. Jill Grundstrom has a B.S. from Northern Michigan University in Secondary Education with majors in English and French, and a M.A. in Dance Education from New York University in New York City and Genoa, Italy. She continues to train with The PULSE, jazz dance legend Luigi in New York City and has worked, taught, and trained with American Ballet Theatre in New York City and is certified in their National Training Curriculum. She was also the author of the dance blog for Cat Deeley’s Official Website (the host of Fox’s So You Think You Can Dance) during seasons four through seven. 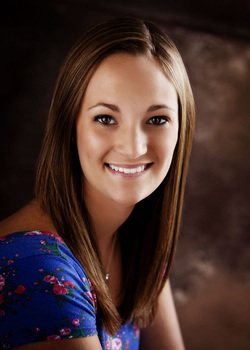 She is currently on staff at Marquette Center for Dance and Northern Michigan University. Miss Grundstrom’s choreography credits include: Beauty and the Beast (MACC Youth Theatre), Kids Sing Broadway (MACC Youth Theatre), Little Women (MACC Youth Theatre), Alice in Wonderland (MACC Youth Theatre), Dirty Rotten Scoundrels (NMU), Annie, Jr. (Lake Superior Youth Theatre), The Little Mermaid Jr. (Lake Superior Youth Theatre), Legally Blonde (NMU) and L.A.-based pop singer Adam Whittington. She was the recipient of the MACC Outstanding Performing Artist of the Year Award in 2011. Special Thank You's: Mom-Kristin, Dad-Luke, and brother-Connor, Grandma Nancy and Grandpa Gerry Anderson, 'Mimi'-Marcia, 'Papa'-Arvid and Aunty Candice Ilves and Muumuu and Bumpa Williams. Thank you to my family for always being there to support me. My Best friends Mara Sorensen and Emily Gauthier for supporting me and being like sisters ("butter" forever). Special friend, Kathy Solka for sharing your passion with horses with me and teaching me so many things and also for sharing Rye with me. Love you all! Past LYST or MACC Youth Theater Productions: Little Mermaid Jr., Annie Jr., Alice in Wonderland, Disney's Beauty and the Beast, Orphan Train, You’re a Good Man Charlie Brown, Rodger's and Hammerstein's Cinderella, Guys and Dolls Jr., Disney’s High School Musical, Into the Woods Jr., Aladdin Jr., Honk Jr.
Other Theater Productions: 101 Dalmations/Jungle Book, Peter Pan, Into the Woods, Les Miserables, Kiss Me Kate, Ebeneezer Scrooge: Jazzed Up Like The Dickens (dance), Blueberry Dance Festival (dance), Adam Whittington Concert (dancer), Marquette Goes Hollywood (solo dancer), The Ice Brigade (film), and Encounter (film). Other Activities/Special Interests: Dancing, singing with Redmen Chorale, Chamber Choir, Octomen, and both of the quartets he is involved in, playing sports, and spending time with friends and family. Thank You To: To his mother for always being there for him, Nikke Nason, all of the music department at MSHS especially Mrs. Broderson, Marty Martello, and so many more! RACHAEL LEA BELMORE is new to theatre. She first appeared in the role of Pantalone in Northern Michigan University’s summer 2013 production of The Commedia Pinnochio. 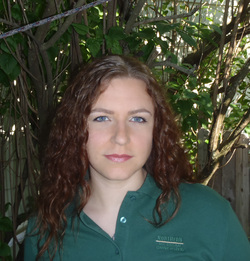 This Marquette native is the mother of two children, attends college full time, and works part time as an English tutor at NMU and Customer Service Representative at The Mining Journal. She is pursuing a double major in English and sociology, and hopes to one day teach at the college level. 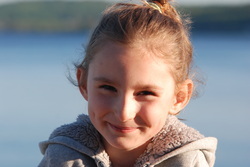 Amelia Rose Bishop is nine years old and attends North Star Academy. She started ballet and performed in her first play at the age of three. She enjoys singing, dancing and playing piano. Her hobbies include: reading, gymnastics, swimming, scrapbooking, biking, museums and art. Amelia loves being a part of Youth Theatre. Lake Superior Youth Theatre: Kids Sing Broadway (2007 & 2010), Scrooge, Once Upon a Mattress, Alice in Wonderland, The Nutcracker, Willy Wonka Jr., Annie Jr. and The Little Mermaid. Lake Superior Theatre: Beacon on the Rock (2008). North Star Academy: Hansel and Gretel. Jack Bowers (Rudy) has appeared in several shows during his three years (so far) in high school. He played (Pops) in Kiss Me Kate, (chorus) in Les Miserables, and (Cinderella’s Father) in Into the Woods. He also worked with the Youth Theatre playing two roles in Willy Wonka Jr., and chorus in Aladdin Jr. and Music Man Jr. Jack appeared in Scrooge at the Forest Roberts Theatre 5 times with his whole family and also was in Beacon on the Rock for the 10th Anniversary with them. 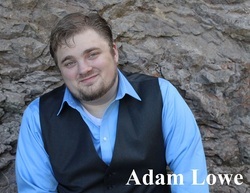 He has received numerous awards in Redmen Chorale and enjoys playing guitar in his spare time. Jessica Bowers (chorus) has appeared in Scrooge 5 times at the Forest Roberts Theatre. In fact she was the very first “live” baby playing the daughter of Ebeneezer’s nephew. She worked with the Youth Theatre in Alice in Wonderland and Willy Wonka Jr. She appeared in The Nutcracker when she was younger while studying ballet. Jessica appeared in the 10th Anniversary of Beacon on the Rock with her whole family. Next year she will play clarinet in the 7th grade band and sing in the after school chorus at Bothwell Middle School. Joseph Bowers (Antonio) worked in the musicals all four years in high school. He appeared in Fiddler on the Roof, Suessical, Les Miserables and worked backstage for Into the Woods. He also was involved with the Youth Theatre in Beauty and the Beast Jr., Aladdin Jr. and Music Man Jr. Joe appeared with his whole family at the Forest Roberts Theatre 5 times in Scrooge and in Beacon on the Rock for the 10th Anniversary at LST. He enjoys singing and playing guitar in a local band and is looking to pursue a future in photography. Rusty Bowers (Petroff) created the role of Captain Petroff in Beacon on the Rock. He has appeared at the Forest Roberts Theatre in: Fiddler on the Roof, Man of LaMancha, Into the Woods, Baby, She Stoops to Conquer, Twelfth Night, Haywire, and Scrooge (18 times). He has extensive technical credits for Sound Design, and Make-up Design & application. Other credits include Outdoor Dramas, appearing at the Kennedy Center in Washington D.C., and performing at Walt Disney World in Florida. He is the owner of: All Things Audio; a Studio Production facility and Rusty Bowers Entertainment; a Professional Mobile DJ Service. He has appeared in Treasure Island and Rabbit Hole. He co-wrote and performed This Is Reality. In college he has acted in Actletes, Rent, Compleat Female Stage Beauty, and the staged reading of Water Woman. CHET DEFONSO is the Head of the Departments of History and Philosophy at Northern Michigan University. Chet’s academic training in 19th century British History has helped him in NMU stagings of Gilbert & Sullivan favorites H.M.S. Pinafore and Iolanthe. He has also appeared in Lake Superior Theatre productions of 1776, Twelfth Night, and Dandelion Cottage. 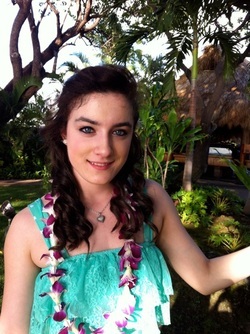 ISABEL FRANCIS began her stage career as Entertainment Manager for Club Med in Noumea, New Caledonia. Her love of dance led her to open Balletworks school of dance in Ironwood, Michigan. More recently, she performed with the Ann Arbor Civic Theater, playing the role of Diana in “Nine” a lead dancer in “How to Succeed in Business Without Really Trying”. 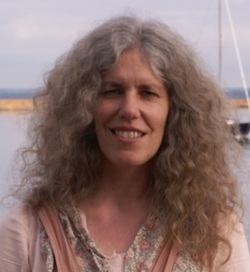 Her portrayal of Mrs. Medlock in Lake Superior Theatre’s 2012 production of “The Secret Garden” was well received by both critics and audiences. She received a BA in Theatre, from Tufts University in Boston. Paige Graham is home for the summer after finishing her first year at the University of Michigan in Ann Arbor, where she is pursuing degrees in history and choral music education. Most recently, she was active in the music and drama departments at Marquette Senior High School, where she portrayed roles such as Gertrude in Seussical, the Baker’s Wife in Into the Woods, Anne in The Diary of Anne Frank, and Cossette in Les Miserables. 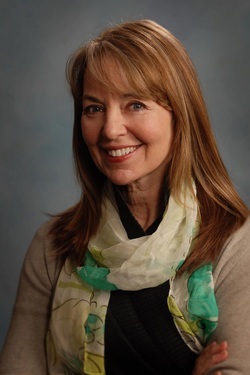 She was introduced to theatre at the age of 8 when she began performing with the Marquette Arts and Culture Center, Lake Superior Theatre, Peninsula Arts Apprecation Council, and Forest Roberts Theatre. She would like to dedicate her performances this year to those who have helped her to grow as a performer but even more so as a person over the years, especially her parents and family, Jan Brodersen, Jeff Spencer, and Sarah Paquet. 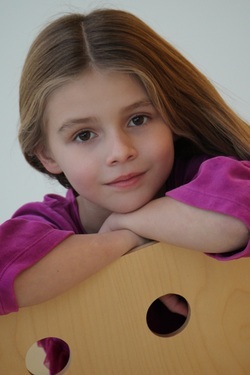 Mallory Grugin began performing at the age of three. 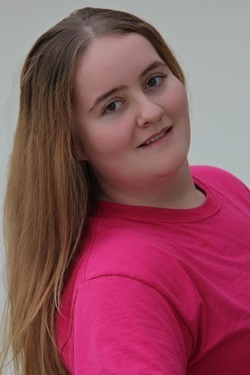 She has participated in countless productions through the MACC Youth Theater program including Into the Woods Jr. (Little Red Riding Hood), Beauty and the Beast (Lefou), and Alice in Wonderland (Alice). She has also been a part of many LST productions at the Boathouse, most recently being BGB and Friends and Dandelion Cottage (2012). Marquette Senior High School and Northern Michigan University are also programs Mallory has done theatre through, including Les Miserables (Young Cosette). Alongside theater, Mallory started dancing at the age of three and has danced in multiple productions of The Nutcracker and dances in competitions in the area. Playing the violin, viola, and piano are also a major part of Mallory's life, as she has participated in the Michigan All-State Orchestra for two years. She was seen as concertmistress of the MSHS Symphony Orchestra and has played violin in the Marquette Symphony Orchestra for the past year. 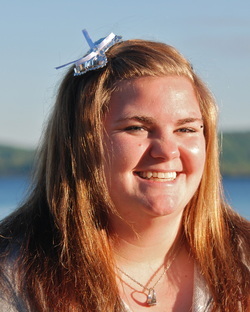 Mallory will attend Marquette Senior High School in the fall as a sophomore. Kasey Hall (Aesha) is a Junior at Northern Michigan University studying accounting and mathematics. She is involved in many campus organizations including the Pride of the North Color Guard and the Honors Student Organization. 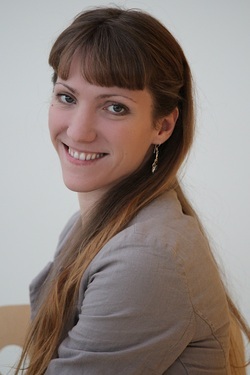 She participated in competitive monologues in high school and has been a part of many small traveling drama groups. Her recent roles include D.A. Joyce Riley in NMU’s stage production of Legally Blonde: the Musical. DAVID HANSEN has spent a few summers in the boat house. 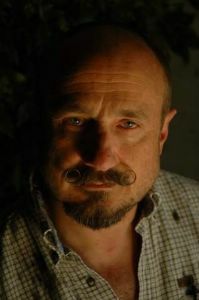 In addition to his years working with LST his diverse career includes being a profession actor and touring the country with the Repertory Theatre of America, he has been the company manager for PlayMakers Repertory Theatre in Chapel Hill, NC, as well as having been a guest playwright for the Utah Literary Conference. In addition to his theatrical background David has several degrees in literature, English composition, education and most recently he has earned his Doctorate in Metaphysical studies. 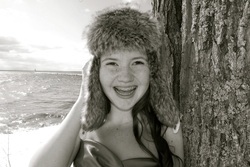 Allison Hyttinen is currently a sophomore at Westwood High School in Ishpeming. She has performed in many shows at the Lake Superior Theatre. A few of her past roles include Betty Tucker in Dandelion Cottage, Amy March in Little Women, and singing along with Bobby Glenn Brown in Bobby and Friends. She also starred as Mary Lennox in LST's version of The Secret Garden. Allison is also part of the Westwood Shakespeare Company and has performed as Emelia in Othello and as Celia in As You Like It. Allison would like to thank her family and friends for all of their support. 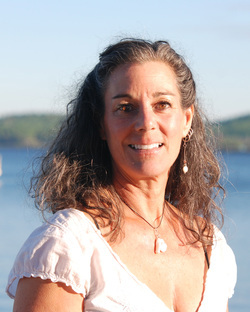 NANCY IRISH returns to Beacon on the Rock for her fourth season as Mrs. Cummins. She joined the original cast to honor her Norwegian great-grandparents, who immigrated to the U.P. in the 1880’s. The Beacon story is very real to her: she grew up hearing stories of her great-grandmother Anna watching her parents disappear into specks on the Norwegian shore as she sailed to America, of her family turning a piece of forest into a small farm, and of her great-grandmother taking food for years to a neighbor woman who lost her husband in a mining accident. Nancy performs this year in memory of her father, Frank Irish - a musical theater director par excellence. ADAM LOWE (Pirate King in Pirates, Tom Trenarry in Beacon) is a Marquette native who is excited to make his debut at Lake Superior Theater. His most recent roles at the Forest Roberts Theater include; Growl Bear in BEARS, Benjamin Franklin in 1776, William Barfee in 25th ANNUAL PUTNAM COUNTY SPELLING BEE, and Toad in A YEAR WITH FROG AND TOAD. He has a variety of other credits which include Capulet in ROMEO AND JULIET (UW-Eau Claire) and Samuel Lapp in THE CONFESSION (Blue Gate Musicals.) He has also conducted and music directed multiple productions. Alexandra Marks (Mama Gina) is a theatre major at Northern Michigan University, double minoring in music and art & design. In high school, some of her favorite productions were Macbeth (Witch), Bye Bye, Birdie (Helen), The Wiz (The Wizard), Thoroughly Modern Millie (Mrs. Meers), and The Matchmaker (Dolly Levi). At Northern she has appeared in 1776 (Abigail Adams), Avenue Q (Kate Monster), Fallujah (Penny), and Legally Blonde (Paulette). 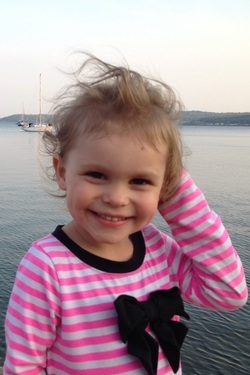 This is her first summer with Lake Superior Theatre. She would like to thank her family and friends for their love and support. LUCIANA LOGAN MATTHEWS Lake Superior Theatre: Beacon on the Rock, (Shelley Russell), Blue Lake Fine Arts Camp, SSA Choir, Marquette Senior High School, Redman Chorale, Solo and Ensemble, Marquette Youth Theater, Pinnocchio, Improv Solo Performances, Whitehall, MI, Binghamton, New York. Other Theatre Productions: Various shows at Northern Michigan University and Peninsula Area Arts Appreciation Council (PAAC). Other Activities/Special Interests: Photography, swimming, skiing, spending time with my nieces and nephews, serving on the Board of Directors for Lake Superior Theatre, First Nighter's Club, Pine Mountain Music Festival and other volunteer projects. Thank You To: To all of the amazing people involved with Lake Superior Youth Theatre including the Board of Directors, volunteers, cast members, crew members, artistic staff, audience members, supporters and especially to Reatha Tweedie for serving as a mentor for the past twelve years and always being there for the arts in our community. And to my family and friends for their support throughout the years and lending a hand to the program when we need them. 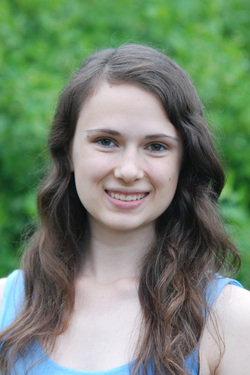 Marianne Nezich, a junior at Marquette Senior High School, played Elizabeth Proctor in The Crucible by Arthur Miller in April 2013, and Cassie Cooper in Neil Simon’s Rumors in February of 2013. Marianne was also in the chorus of Kiss Me, Kate by Cole Porter in November of 2012, and on crew for Marquette Senior High School’s production of Les Miserables in the fall of 2011. She is now appearing as one of General Stanley's Daughters in LST’s production of The Pirates of Penzance, July 18-21, 24-28, 2013. Marianne, a member of the MSHS Redmen Chorale, Chamber Singers, and Women’s Octet, was the recipient of the Leah M. Andrews scholarship to attend Blue Lake Fine Arts Camp near Muskegon, Michigan. Along with singing and acting, her other interests include dance and horsemanship. theater major at Northern Michigan University. Selected roles include Rutledge in 1776, The Baker in Into the Woods, Professor Callahan in Legally Blonde, Bottom/Demetrius in an abridged version of A Midsummer Night’s Dream, and Mrs. T. in Avenue Q. He would like to thank everyone involved with the shows for the amazing experiences they've shared together, and his parents and sister Sarah for their everlasting love & support. John Sarkela is an instructor of Mathematics and Computer Science at Northern Michigan University. He has appeared in the Lake Superior Theater productions of Guys on Ice, Anatomy of a Murder, The Lion the Slave and the Rodent, as well as Twelfth Night. BETH SEAVOY Edith has participated in numerous shows in the Marquette area, some of which include: Les Miserables (MSHS), Into the Woods (MSHS), and Beauty and the Beast (MACC). She was recently in a production of Funny Girl at Michigan State University, where she is studying, and looking into possible majors. CERA SHELAFOE will be a sophomore at Marquette Senior High School this fall. 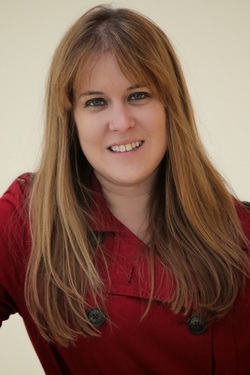 She has been involved in the high school’s theatre, music and sports programs. 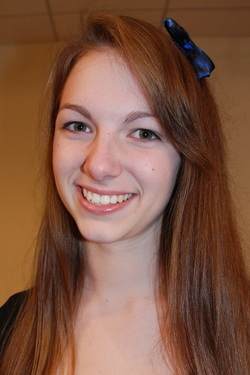 Cera has competed at Solo & Ensemble Festivals as both a cellist and vocalist. She dances competitively for Superior Dance Academy and has been involved in community/youth theatre since she was five years old. Northern Michigan University: Haunted Theatre. Lake Superior Youth Theatre: The Little Mermaid, Annie Jr., and The Mouse That Roared. Marquette Senior High School: Kiss Me Kate, Les Misérables. 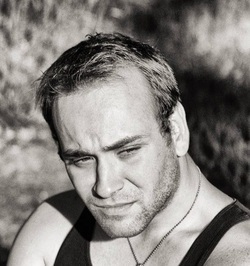 Rob Shirlin is an enthusiastic performer who strives to bring out the best in people and in himself through the creative processes. He loves a challenge and finds using his problem solving abilities to advance projects an excellent outlet for his creativity. 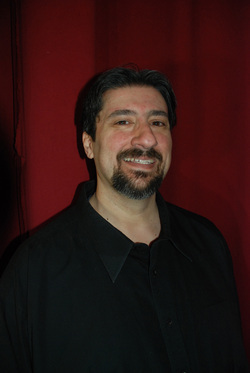 Rob has a Bachelor of Science Degree in Theatre / Broadcast Communications from Northern Michigan University, and 20 years of experience in the performing arts and theatre education. 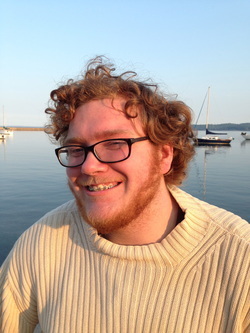 He currently serves on the First Nighters Club Advisory Board, a booster organization for the Forest Roberts Theatre at Northern Michigan University. Rob has been with Lake Superior Theatre since the begining performing in many shows including the first production of Beacon on the Rock. Rob has extensive experience in all aspects of theatrical production, including acting, stage make-up, set construction, technical theatre, directing, stage combat and stage management. His long list of acting credits includes lead roles in productions at Lake Superior Theatre, Northern Michigan University, Northern Lights Playhouse, and Big Bay Players. 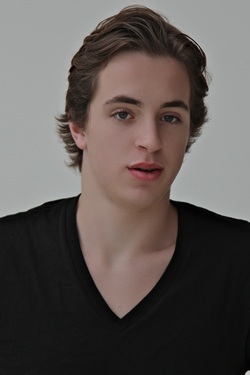 He is also accomplished in commercial acting, voice overs, and video production. 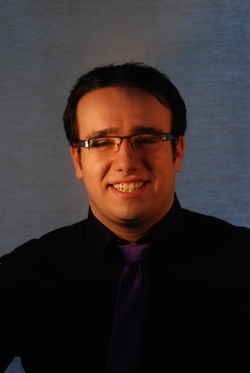 Rob has a passion for theatre education and expertise in working with at risk youth and children with special needs. 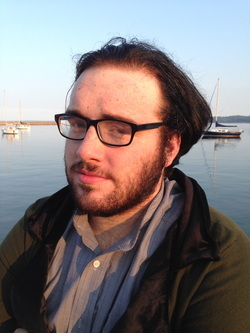 He has worked with the Youth Theatre Program at the Marquette Arts and Culture Center as Fight Choreographer, Assistant Stage Manager, and Backstage Crew for several mainstage productions. In addition, he is one of the founding members of Acting Out Theatre Troupe, an improvisational theatre troupe which uses performing arts as an outreach tool to educate kids, raise awareness of important issues, and cultivate the development of coping skills among area youth. 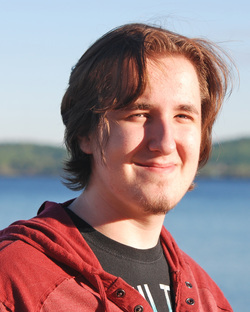 For the past four years, Rob has been the Director of Lake Superior Theatre’s Drama & Dreams Playscape Camp, and has been a key contributor to its continued growth and success. Rob is currently employed at Pathways Community Mental Health where he works one-on-one with individuals with developmental disabilities on life skills and life enrichment activities. Off Broadway: Man Named Marquette (Fish and Girl 1), Little Mermaid (Lily pad and sand), Nutcracker-2012 (Spanish Hot Chocolate and Solider)The Mouse that Roared (Page), Annie (Orphan), Willie Wonka Junior (Chef and Squirrel), Alice in Wonderland (Oyster), Nutcracker -2010 (Pollichinelle), and Kids Sing Broadway. Television: "The Wake". Hailey Jean Spade LSYT Theatre Productions: A Man Named Marquette and currently Honk Jr. and Beacon on The Rock as a Daughter. Hailey is 3 1/2 and in Preschool at Silver Creek. Other Activities/Special Interests: Superiorland Soccer Association, Lake Shore Christian Church, Swimming, and Art. Special Thank You's: All of my new friends at rehearsals! My Dad and mom, Nikke, My Sister Emma, and Aunty Molly. My grandma and papa with the deer and the rest of my family for the encouragement and support they have been giving me. 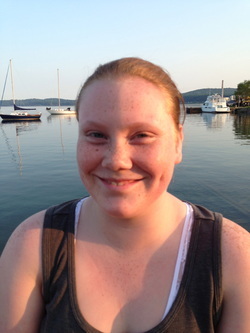 Emma Marie Spade LSYT Theatre Productions: Annie Jr., The Mouse that Roared, The Little Mermaid, A Man Named Marquette, and currently Honk Jr. as Snowy and Beacon on The rock as a Daughter. Entering 2nd grade at Cherry Creek School. Other Activities/Special Interests: Superiorland Soccer Association, Girl Scouts, Lakeshore Christian Church, Arts & Crafts, Singing and Dancing. Special Thank You's: My family, especially my grandma’s and papa’s. The one’s who travel far to see me and the one’s who help me prepare for the plays. Also Nikke and everyone else in theatre for welcoming me to the theatre family. Other Theatre Productions: MSHS School Musicals: Kiss Me Kate, Les Miserables, Into the Woods, and Suessical the Musical. NMU Forest Roberts Theatre Productions: Peter Pan, Scrooge and Ebenezer. Film Festival Movie- Ice Brigade. DANCE: Four year member of MSHS Dance Team. Most Outstanding Dancer Award 2010 and 2012, MSHS Dance Team Captain 2010 and 2012. Dance Teacher at Marquette Center for Dance, Choreographer for Lake Superior Youth Theatre/ Marquette Arts and Culture Center Youth Theatre performances. Back-up dancer for Adam Whittington in 2010-2011. Macy’s Thanksgiving Day Parade participating dancer 2009. Presently studies hip hop, contemporary, jazz and private dance lessons at Marquette Center for Dance. VOICE: Four year member of MSHS Redmen Chorale, Michigan Youth Arts Festival participant, District and State Solo/Ensemble and Regional Honors Choir participant. Vocally, Jill is studying under the direction of Jan Broderson and Jeff Bruning. Maitri White has been performing since the age of 6. Maitri has participated in many MACC and LSYT productions including, The Little Mermaid Jr. (Ursula), The Mouse That Roared (Gloriana), and Annie Jr. (Duffy). Maitri has also been a part of productions with LST, such as Beacon On The Rock 2008 (June Xavier). 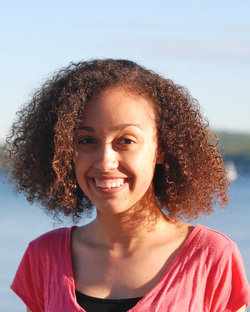 Maitri has also participated in Northern Michigan University and Marquette Senior High School productions, most recently The Crucible (Tituba). Besides theatre, Maitri plays the viola in the MSHS Symphony Orchestra, Fourtissimo String Quartet, and the Marquette Symphony Orchestra. Maitri also a member of the MSHS Forensics Team where she competes throughout the UP, and on the state level. Maitri will be a sophomore at Marquette Senior High School this fall.